Cycling is the environmentally-friendly way to travel. It doesn’t require fuel, it doesn’t produce emissions that contribute to greenhouse gases, and it doesn’t require electricity (which is produced by burning coal.) 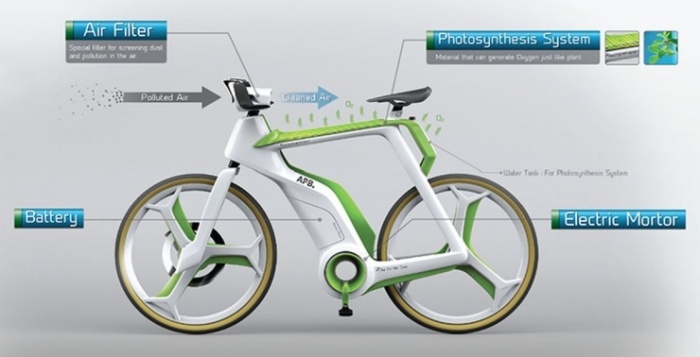 Taking bicycles one step further is the team from Lightfog Creative and Design with the Air Purifier Bike. Not only does it come with all the usual benefits of riding a bike, but it also comes with a built-in air purification system. It’s a neat idea, but the specifics that the team provided with regards to the system is mind-boggling, though. By David Ponce on 12/17/13 • Leave a comment! Sharing large files is still surprisingly difficult to do these days. Many people sit behind firewalls and not everyone is tech savvy enough to create accounts on the few decent large file sharing sites. 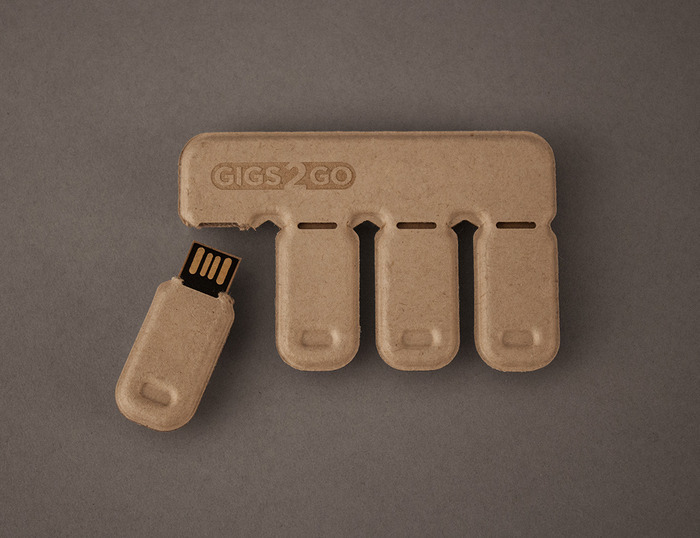 What’s needed is something like Gigs2Go. It’s a credit card-sized pack of 4 thumb drives housed in a 100% post-consumer recycled paper pulp enclosure; when you need to share something, you simply tear one off and give it to your client or friend. He can keep it, or even dispose of it. Being made from paper, the drives are mostly biodegradable and each one is cheap enough that it’s not an altogether terrible idea to do this. They come in three sizes: 2GB, 4GB and 8GB, the cheapest one being only $30 and the 8GB drives setting you back $40. It’s still getting funded so we’re not sure if the product will see light of day, but you can do your part at the Kickstarter link below. Christmas is the most wonderful time of the year. It also happens to be a season of excessive waste, considering the amount of gift wrap and packaging people discard after unwrapping their presents. Then along came Eden’s Paper and their plantable gift wrap. 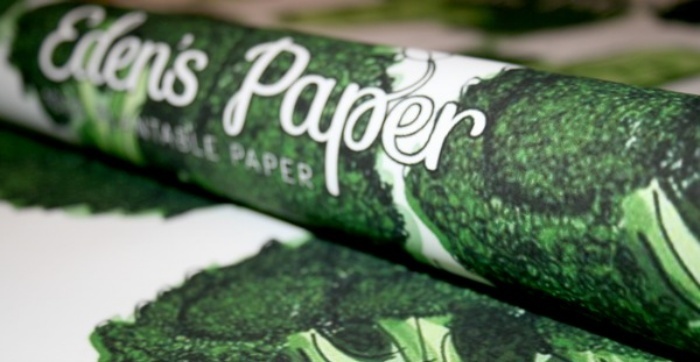 It’s eco-friendly wrapping paper that’s made from two layers of recycled paper. The cool thing about it is the fact that it’s got actual seeds embedded within the paper. So not only is it recyclable, but you can also plant the entire thing in your garden instead of discarding it. 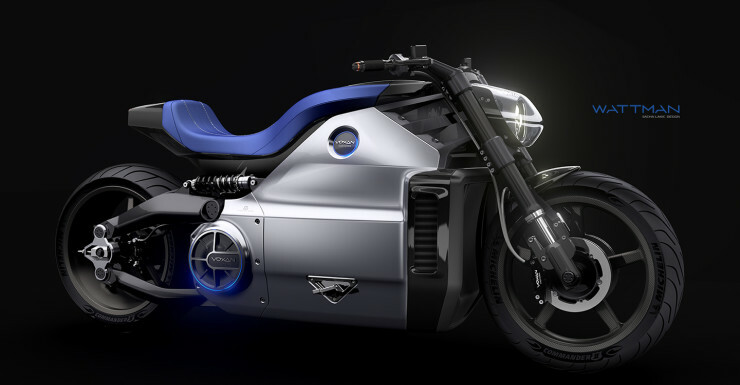 The Voxan Wattman electric motorcycle was unveiled last Monday at the Paris Motor Show, with all the fanfare that a bike claiming to be the world’s most powerful should have. And on paper at least, they’re right: the bike boasts 200bhp at 10,500RPM and 150 ft lb instantaneously. This is enough to propel the two-wheeled machine from 0-60 in 3.4s and to 100mph in 5.9s, on the way to a top speed of 106 mph (170km/hh). That’s not too bad, but is far from the fastest. The Lightning Electric Superbike takes that title, doing the 0-60 in 3s flat, on the way to a top speed of 166mph (265km/h). Despite boasting more power, the Wattman suffers from being too heavy. The 12.8kWh battery, while being able to recharge to 80% in 30 minutes, doesn’t appear to provide much real world range. As tested by the NEDC (New European Driving Cycle) standards, the company can claim a range of 180 km (112 miles). 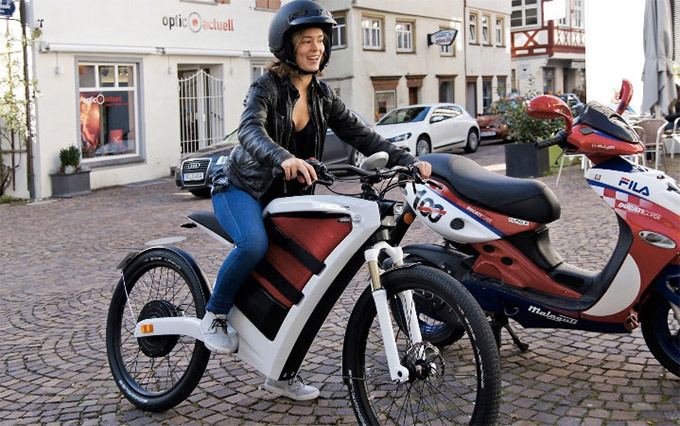 But this means “an average speed of 33.6 km/h (21 mph), which suggests that the batteries will last 5.35 hours at an average power of 2.4 kW (3.2 hp).” That’s not a typical usage scenario for a bike. At full power, the batteries last… 5 minutes. Granted that too isn’t a typical usage scenario, but it’s important to keep in mind that while they’re making huge strides, electric vehicles still have some way to go. And to pursue the title of “world’s most powerful”, while sacrificing performance and range in the process is an easy way to lose the interest of potential customers. There’s no word on price, but given they’re hand-assembled, we’re going to guess it’s pretty high. 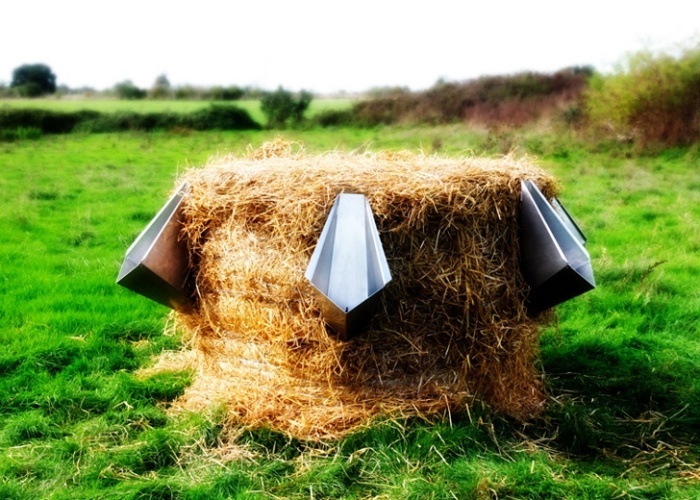 Human pee can be used to help transform a bale of straw into compost that can be used as fertilizer. Human pee doesn’t really alleviate jellyfish stings and in some cases, might even make the sting even worse. I don’t think I need to cover the second point, since it’s pretty straightforward. The first point, on the other hand, is a different story. By Hazel Chua on 04/18/13 • Leave a comment! Movies often depict how little girls look forward to their wedding day, even though it’s probably still decades away. That’s not always true because some women couldn’t care less how their weddings went, just as long as they ended up with the man (or even woman) of their dreams. Then there’s women like Stephanie Watson. She planned and looked forward to her wedding for almost ten years, but with good reason: she was still collecting the ‘material’ for her wedding dress. It’s extravagant, it’s custom-made, and it’s truly one-of-a-kind. That’s because she made it herself using over 10,000 recycled bread bag clips. 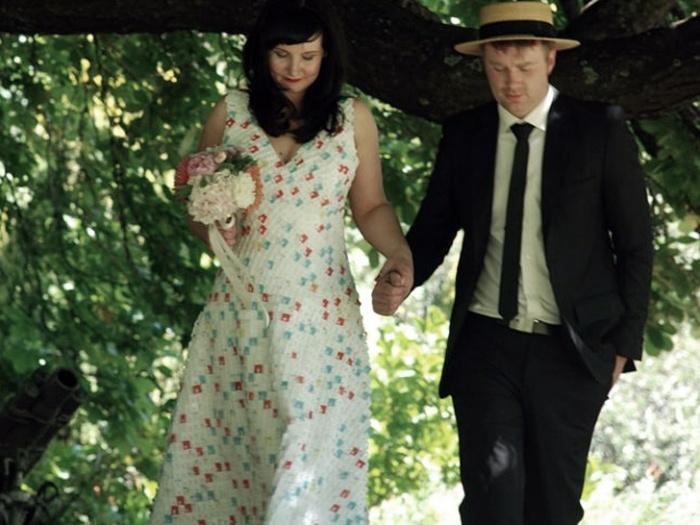 Now, not everyone here is up to making a dress such as this one, but with all the effort Stephanie has put into making this dress, it has made her wedding day even more special. By David Ponce on 11/09/12 • Leave a comment! When you saunter over to the field of human-powered two-wheeled locomotion, you realize that the options are plentiful. From the efficient speed machines of the road bike, to the spongy spring masters of the mountain bike, and everything in between. The Donky bike falls somewhere along this spectrum, becoming the urban dweller’s best friends. 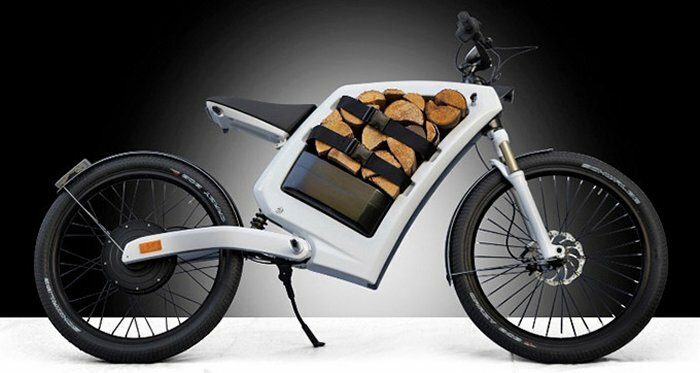 If you’ve eschewed the pleasures of an automobile for the more environmentally friendly bicycle, you’ll still need to ferry some loads form time to time. The Donky bike features a strong beam that bisects the frame and distributes weight evenly. 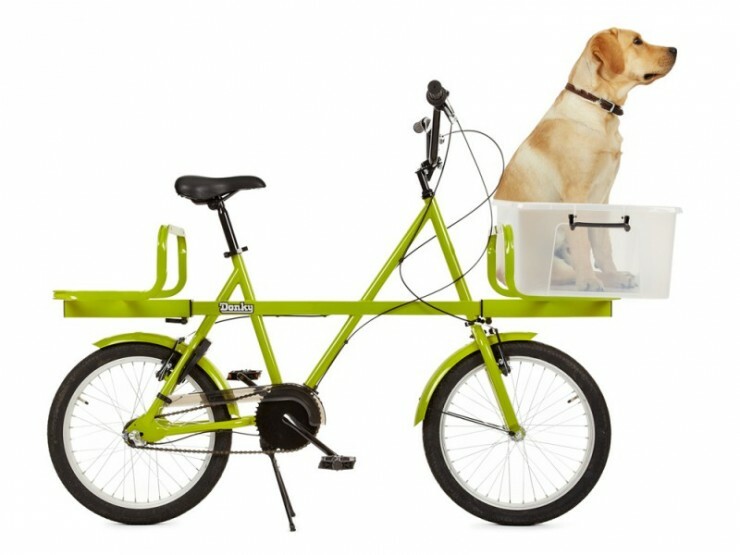 None of that weight is carried on the handlebars like regular baskets, which means you’re free to transport relatively heavy loads without impairing ride dynamics too much. This, along with a tight turning radius, make it an obvious option for anyone wishing to live a greener, more efficient city life. It comes at a price however, as the Donky will set you back a hefty $800.